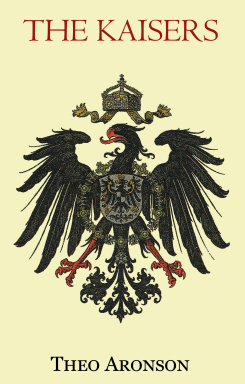 There were but three Kaisers, and the span of their reigns lasted for less than fifty years; yet for sheer drama, for turbulence, for bloody impact upon the lives of millions, the short-lived Second Reich of the Hohenzollern dynasty, born out of the Franco-Prussian War of 1870, nurtured in militarism, and self- immolated in the slaughter of the Western Front of 1914-18, is without parallel. 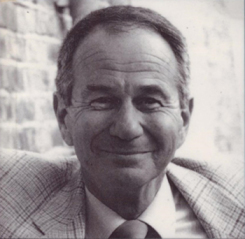 Theo Aronson's The Kaisers is the story of six people whose bitter differences were a microcosm of, and greatly influenced, a national conflict which echoed all round the world. Kaiser Wilhelm I, born 1797, King of Prussia 1861, proclaimed Emperor of all Germany 1871, died only in 1888 an autocratic, militaristic man of the eighteenth century completely opposed to the liberalizing ideas which swept Europe in his lifetime. In contrast his Empress, Augusta, was progressive in thought, open-minded in outlook, yet with all had a taste for the theatrical and pageantry of her royal status. The best of her was seen in their son, Kaiser Frederick III, who was Crown Prince for all but the last few cancer-torn weeks of his life. He personified the best of European liberalism of the nineteenth century. In this he was supported—many said unduly influenced by his energetic and vivacious English wife Victoria, Queen Victoria's eldest and 'Dearest Child', who brought to the marriage the enlightened ideals and hopes of her shrewd, practical mother and her far-seeing father, the Prince Consort. The tragedy, the tempting speculation of Germany's history, is that this couple reigned for only three months before Frederick III's death brought their son to the throne. Kaiser Wilhelm II, 'Kaiser Bill' of the first World War, was again the antithesis of everything his parents stood for. Queen Victoria's hopes that her grandson might be 'wise, sensible, courageous — liberal-minded — good and pure', could hardly have been more misplaced. The sixth, the dominating figure in the Hohenzollern story, is Prince Otto von Bismarck, the ruthless 'Iron Chancellor', virtual dictator of Germany for nearly thirty years. He served all three Kaisers, claiming with justification that on his shoulders he had carried the first to the Imperial throne—where he manipulated him to his will despite the hatred and manoeuvrings of the Empress Augusta. He feared the reign of the short-lived second Kaiser and feared more perhaps (and never missed an opportunity to disparage) the Empress Victoria and the constant, commonsense influence from England of her mother. (`That', he said ruefully after their one meeting, 'was a woman ! One could do business with her ! ') Their son he flattered, siding with him against his parents, and in so doing brought about his own downfall, when the vainglorious young man he had schooled as Crown Prince came as Kaiser to believe that he could do without his mentor. But for Europe it was too late, and the policies of one and the vanities of the other were already leading Europe helter-skelter into the holocaust of 'the Kaiser's War'. Theo Aronson's gifts as a writer have deservedly brought him high regard as a chronicler of the complex histories of Europe's great ruling Houses. Rarely have his talents been better employed than in this study of the comet-like rise and fall of the House of Hohenzollern, the House of the Kaisers of Germany. It is a story of bitter, almost continual conflict, yet even in what can now be seen as a path to inevitable destruction Mr. Aronson finds passages of light and shade that show the Hohenzollerns not simply as Wagnerian puppets posturing on a vast European stage, but people deserving of our understanding and compassion.